We’ve all heard it, done it, and regretted it after. 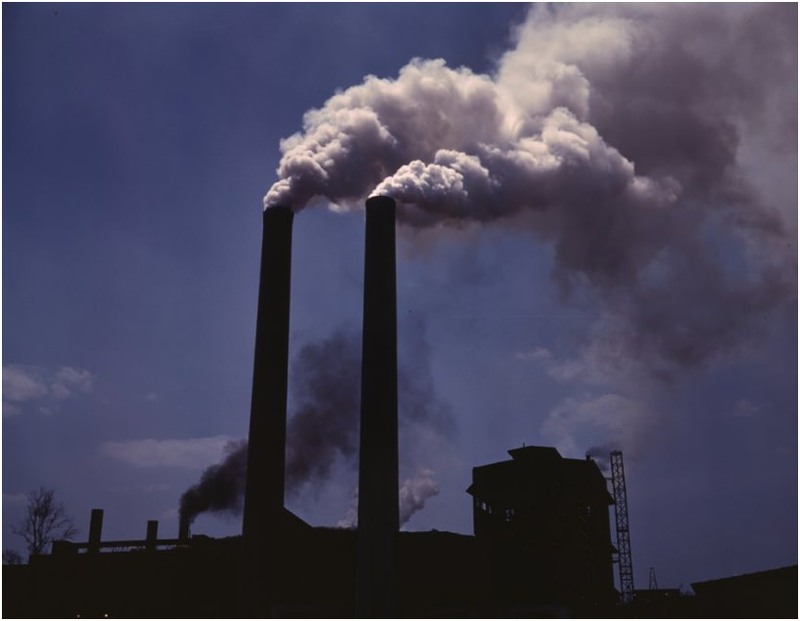 Jargon is more than just lazy; it’s marketing air pollution. I call it “Jargon-Monoxide Poisoning,” and it costs you more than you think. 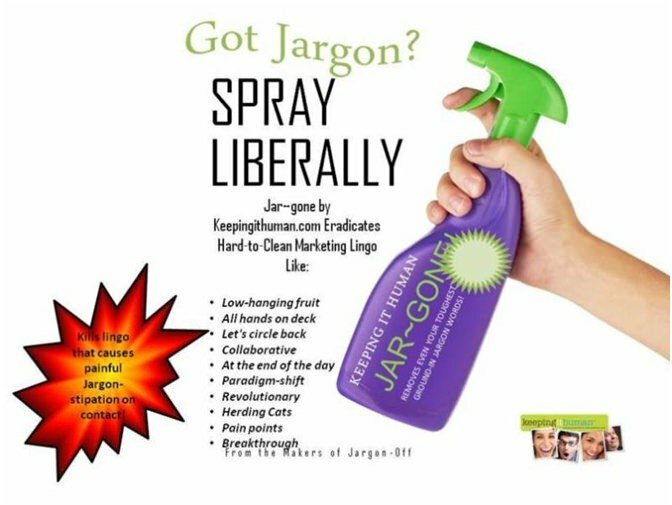 Jargon is more than a turn-off to your prospects and customers. It hurts you and your credibility because it pollutes your message and dilutes any chance for clarity and differentiation you have. Your prospect gives an average of 3-7 seconds of their attention, and in that time they’ve tuned you in or tuned you out. Do you really want to use up those precious seconds with wasted words? I sure don’t. And organizations that pollute with jargon are likely just as bad with their customer service. “We robustly synergize onboarding best-of-breed solutions,” your friend would laugh in your face. That’s just not how people talk. For some reason, too many marketers transform into robots when they start communicating. Yet, when we’re talking in casual conversation, we’re simple and clear. This how we should communicate all the time – like we are talking to trusted friends. This how you build trust and eventually, relationships, in a world of too much noise and little meaning. Spare the marketing air and your prospects’ time and energy. Here are six ways to turn robotic marketing-speak that causes Jargon-Monoxide Poisoning into human-speak that connects and sells. Always say it the most basic way. You are not dumbing down your message; rather, you are making it accessible to more people when you speak plainly to busy people. Clarity is the communicator’s burden, and busy people won’t take the time to decode your message. Source: Kathy Klotz-Guest. Copyright 2014. We can talk about productivity and collaboration all day. Who cares? What human need is being solved by those tools? If collaboration enables people to enhance their internal reputation and visibility, then say it. Underneath the professional, rational need is a human need. And you must appeal to that because you are talking to a human being even in a B2B context. Humans buy from other humans. If it sounds like everybody else’s stuff, leave it out. Here’s a test: Line up your written marketing next to your competition’s content. If you took out the company name, does the content read the same? Do you have a voice that stands out? If your voice is undetectable, you have a differentiation issue. Revisit points 1 and 2 above. Get rid of me-too messaging. People use certain words for a reason – because they have meaning for them. Marry your higher purpose – not your wording – with the language of your prospect. Weave some of those often used customer words to demonstrate that you are listening to your audience and you are mirroring their needs. That’s empathy and understanding in action. That’s a precursor to trust and better relationships with customers. People are busy. We are all busy. Being simple in wording and short in delivery respects peoples’ time and fragmented attention. That is one thing we all have little of these days – time and patience. Make a content YOU-turn. I’ve long referred to “me, my, our, we” as the “Beaches” approach to marketing and it’s a huge turn-off. Stop the, “our IP, our methodology, our services, our products, blah, blah, blah.” Instead, put the big focus on your audience and their needs: you, your, you’re, their. Here’s my rule: Aim for 70-80% of your language to be focused on the audience’s YOU, and about 20-30% on self-references (me, my, our). In a world of way too much noise, people are hungry for human-speak. So give it to them, increase your trust and credibility, and improve your marketing results, too. How do you keep your messaging human?